This is perhaps the gentlest walking holiday in our whole range – 3 days walking from the beautiful Bolton Abbey through woodlands, meadows and moorlands to Buckden in Upper Wharfedale. Despite distances being short, there is plenty to see with time to explore the villages, churches and towns enroute, or simply to take in the views along the way. This holiday spends 2 nights at Burnsall on the first day’s walking. You then take a 20 minute bus ride to Bolton Abbey, before walking back to Burnsall for your second night. 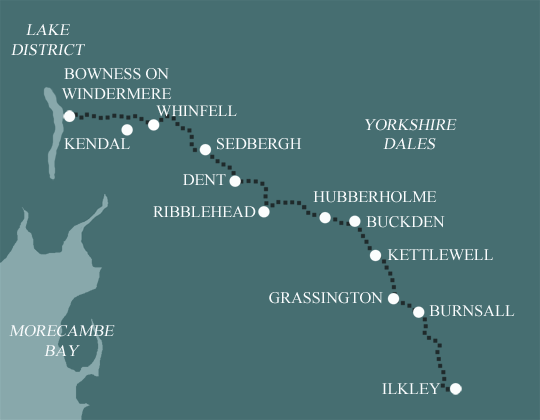 The third and fourth nights are spent in the idyllic village of Kettlewell – day 3’s walk is from Burnsall to Kettlewell, whilst on day 4 you walk up the Wharfe to Buckden before catching the bus back to Kettlewell for your final night’s stay. The walking starts at Bolton Abbey, an impressive 12th century ruin set in the parkland of the Duke of Devonshire’s estate. Upstream from Bolton Abbey the path enters Strid Wood, where the River Wharfe is forced through a narrow chasm and can be particularly spectacular after rain. More riverside walking leads to Appletreewick, the first in a string of delightful limestone villages and on to Burnsall which is idyllically situated on a large meander in the river. From Burnsall the route carries on along the Wharfedale valley and enters the small market town of Grassington, on the eastern fringes of the National Park. 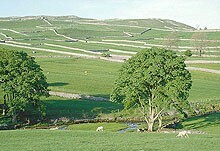 After Grassington the route leaves the valley for a few miles and climbs up to a plateau of limestone pavement. Here, millions of years of rainwater have dissolved deep crevices in the limestone, splitting the surface spectacularly. The Wharfe is rejoined at Kettlewell, one of the honey pot villages of the Dales and the path follows the river gently upstream past the village of Starbotton to Buckden. The route, which is waymarked over its entire length, is relatively straightforward. The paths follow the River Wharfe and the valley slopes throughout. Terrain: The route generally follows rivers and valley bottoms. What’s it like underfoot? On the whole the paths are well defined and maintained, but at times it can be muddy, so good footwear is essential. How Much Up & Down? Not too much. Rolling with gentle ascent and descents. By Air: The nearest airports are Manchester International (MAN) and Leeds Bradford (LBA). There are frequent buses or trains from the airports to Ilkley (Manchester to Ilkley is 53 miles, and Leeds to Ilkley is 17 miles). 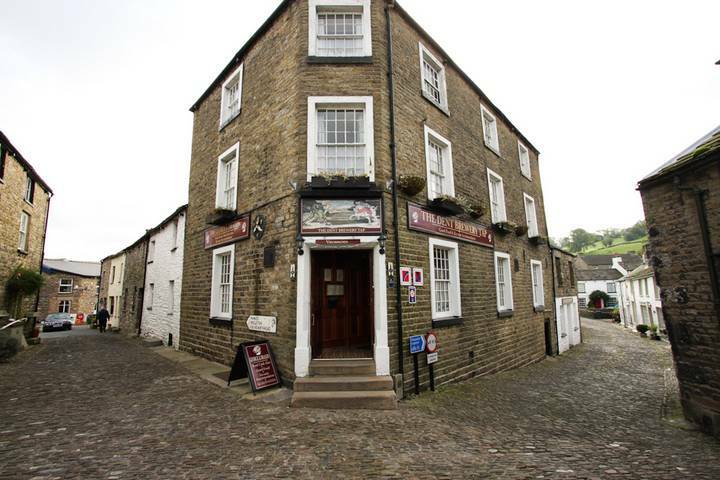 There is a limited bus service to Burnsall or a taxi from Ilkley to Burnsall will cost you approximately £20.00. By Public Transport: Frequent buses and trains run to Ilkley, and then there is a limited bus service to Burnsall. Alternatively, a taxi from Ilkley to Burnsall will cost you approximately £20.00. By Road: Take the A59 to Skipton, and then the B6160 to Burnsall. By Public Transport: There is a very limited public bus service from Kettlewell to Ilkley. A taxi will cost approximately £40.00. There is a railway station in Ilkley for onward travel. By Road: From Buckden head to Skipton on the B6160 (18 miles) to join the A roads for onward travel.